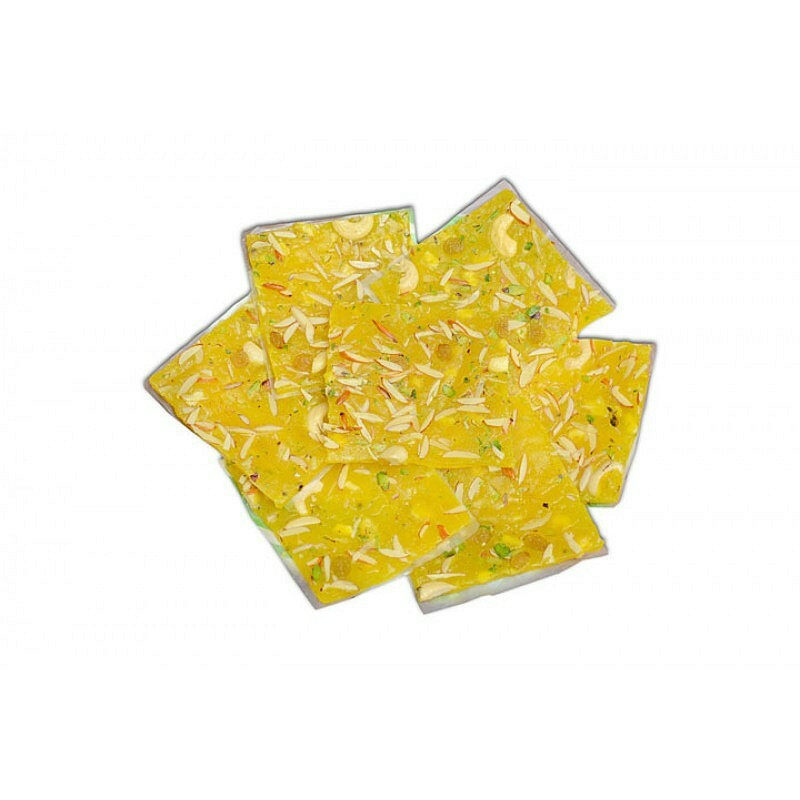 Buy Pineapple Icehalwa of Ajit Sweets from Mumbai online | Authentic Indian Sweet , Savories and Delicacies from the place they originate by Moipot. Craving for a tropical sweet dish? Here’s exactly what you need to try! Pineapple icehalwa by Ajit Sweets that will take you to the seventh heaven as soon as you take a bite. The silky smooth sweet dish enhanced with a flavour of pineapple will melt in your mouth with its rich taste. This sunshine yellow sweet dish topped with nuts will give you an instant foodgasm.